to build a colony in a new land? Why did the Pilgrims go to America? 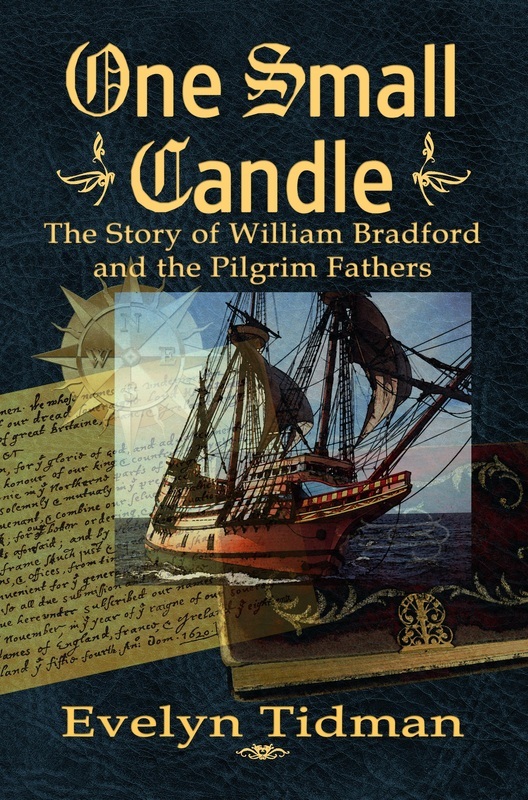 ONE SMALL CANDLE blends fact and fiction bringing the story of the Pilgrim Fathers vividly to life in a well-researched account of the Mayflower and the settling of Plymouth, New England. What would make you risk your life, your family, everything you possess, to build a colony in a new land? Find out the true story behind the Pilgrim adventure. Learn why the Pilgrims left comfortable homes in England. Read about their struggle, bravery, ability to adapt. Discover authentic detail about the Pilgrim Fathers. Grasp the extent of the breathtaking, frightening and exciting adventure. Come to know the Pilgrim Fathers as individuals. ﻿Chased from England by persecution and destitute in Holland, the Separatists decide to move to New England to begin a new life. Only it is not quite that easy. With dangers from false brothers, the authorities, the sea, sickness, starvation, the locals, can they build a colony in the wilderness? Will they survive? Can governor William Bradford help a dispirited group of survivors make their colony a success? Will he win the woman he loves? I grew up hearing the story of the Pilgrims in school every year. How they were a group of people who were struggling to discover and practice what they viewed as a "pure religion," how they were Englishmen and women who were persecuted for their beliefs by their countrymen, how they fled to Holland, and then eventually sailed on the Mayflower to establish the colony of Plymouth in North America. Yes, I knew these facts because they were drilled into me year after year. What I never understood until I read "One Small Candle," by Evelyn Tidman, was the human aspect of this whole story. These were not just stick figures shuffling about so that scores of American school children could be forced to listen to their teachers rehearse these bare details every year. In "One Small Candle," suddenly all these names I had heard so many times--William Bradford, Miles Standish, Squanto, and others--ceased to be merely names and suddenly became real, living, breathing people. Yes, before they settled in Plymouth, the Pilgrims went to Holland. But how long were they there? What did they do all those years? What was it like to live in Holland during those years? And a question no school teacher ever even suggested to us, why didn't they just stay in Holland? What made them to decide to leave settled cities and civilization to sail to a land of no cities, no towns, no farms, no neighbors, nothing at all that they would recognize as "civilized" in the way they understood the word? What was it like to travel on the Mayflower all those long, long months? Yes, I knew that many died that first winter. But in school, they were just numbers. In "One Small Candle," those deaths suddenly become very real and very heartbreaking. And what must have gone through the would-be colonists' minds when they first laid eyes on an uninhabited shore and realized that they would literally have to build everything from the ground up. No stores to go buy supplies, no neighbors to borrow tools from (they could not at that point know anything but rumors about the Indians who lived there), nothing but literally their own blood, sweat and tears and the resources they could scrape together from the land. And a huge ocean between them and Europe if, when things became too difficult, they had a change of heart and wanted to go "home!" This book opened my eyes in new and wonderful ways to the story of the Pilgrims. I will hereafter think of them with far greater respect and love than I ever have before, not because they were a group of perfect people, but for the very reason that they were human and flawed, yet courageous and determined to stand by their convictions whatever the cost. I LOVED this piece of historical fiction and grew to admire and relate to the strong characters. What faith, moral fiber, dignity and perseverance! We take so much for granted in this country, namely our religious freedom! It was dearly bought and its cost is beautifully shared in this wonderful work. This story is very special to me. When my grandmother passed away in 2000, we found a genealogy showing that our family actually has an ancestor who came to America on the Mayflower. I am now so much more aware of what she and those other brave and determined predecessors who paved our way here had to survive! So, I am particularly interested in these historical events, but truly the story is beautifully written, and I wholeheartedly recommend it for readers of any age. As I grow older and wiser, I look for books that will teach me and improve my perspective. This one did. It is a modern day classic. I was there without the cold, hunger, seasickness, disease and heartache ~ every step of the way. Thank you, Ms. Tidman, for your love of history, your love of writing and your integrity and diligence in research that brought this story to life. I am a grateful beneficiary! Most certainly, their obedience to follow a God-given vision has changed the world. "Thus out of small beginnings... one small candle may light a thousand, so the light here kindleth hath shone to many..." Yes! "For me this was an incredibly rewarding feast of historical facts and insights about the manifold problems and obstacles the new settlers faced in their new home, their special status and character in contrast or comparison with other settlers. Although I deemed myself fairly knowledgeable about that period of time I was amazed at home much more there was to learn. 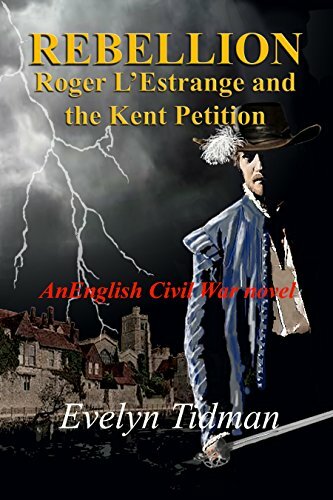 Tidman did an excellent job at blending fact and fiction as this reads very much like a wonderful novel, yet even some of the dialogues are historically recorded and accurate. I personally preferred the second half of the book once the Mayflower has landed on the new shores and would have liked to spend longer with the story there but it would be impossible to fault Tidman for her decision to give more insight into the planning and the reasons behind the Pilgrim's departure. "This beautifully written, extremely well researched account of the "Mayflower" and the settling of Plymouth, New England is a historical novel that everyone should read. We all should have the knowledge of what determined, regular people can accomplish when the desire of freedom is in their hearts. The sacrifices, the loss of loved ones and the hardships they endured from the moment they made the decision to board the "Mayflower" and start a colony in the "New World". Pulling the thick travelling cloak tighter around him in a forlorn attempt to keep out the penetrating cold of a November night William Bradford shifted on the bare board seat to ease the numbness in his nether regions. Thick damp darkness obscured the faces of the others, but he could hear them; the rustle of clothing as someone moved, quiet breathing, a stifled cough. Yet no-one spoke. Men, women and children sat in tense silence fearing the slightest sound drifting across the Lincolnshire salt marsh. Every squeak of the oars in the rowlocks, every creak of boat timbers, every ripple in the black river water jangled taught nerves. A suffocating fog of fear hung over them. A child wailed suddenly, a clanging alarum in the stillness of the night, hushed quickly by a mother’s breast. 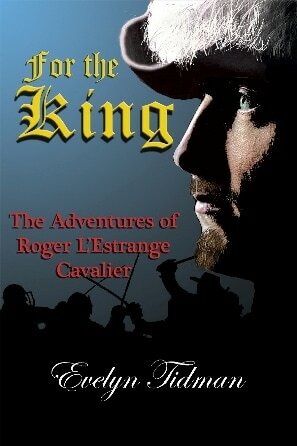 It was enough to rouse a man dozing on the watch and it set Will’s heart banging against his ribs in sudden terror. Everyone in the boat shuffled uncomfortably. They all knew what it would mean if they were discovered: their plans for escape foiled, and themselves at best incarcerated, at worst executed. With his hands on the gunwale, Will raised himself carefully off the bench, peering over the shadow of the bank. In the grey distance, the tower of St Botolph’s church, the Boston Stump, glowed eerily, guiding sailors, and travellers alike. But that was the only light. No torches, no shouts. Relieved, he sat down again, and wished his heart would not thud so loudly in his ears. ‘Anything, young Will?’ William Brewster beside him spoke in an anxious whisper. ‘No sir.’ Young Will. It was the way they all addressed him, and he supposed he was young at seventeen to have made a decision such as this, to leave family and inheritance for the freedom to worship as he thought to be right. He imagined the reaction of his guardian uncles when they found him gone. He knew what they would say: William Bradford had thrown in his lot with outlaws. He cast his eye over the outline shapes of these ‘outlaws’ barely visible in the dark of the night. They were ordinary men, women and children huddling together in the boats. They were outlaws because they dared to disagree with the Established Church, because they wanted the freedom to worship their way. Silently the boats slid down the river hidden by the darkness. Will shifted his position again. His back ached where it rested against the side of the boat, the ridged gunwale pressing against the bruises. But his physical discomfort was nothing compared to the churning in his insides, part fear, part excitement. As always, Will found the presence of William Brewster reassuring, calming and positive. Of all of them, he felt closest to this man, who stood in place of the father he had never known. ‘Nervous Will?’ William Brewster’s disembodied voice came out of the darkness. ‘A little.’ He peered at the shape beside Brewster, Mistress Mary Brewster, barely visible in the darkness. She had a child on her lap, probably Fear, their youngest. ‘’Tis hard on the children,’ Will observed. ‘Aye.’ There was an edge to Brewster’s voice and Will supposed that the responsibility of a father weighed heavily upon him at this time. Then he said: ‘Be grateful that you have no children of your own, Young Will.’ But it was jest. Brewster adored his family. As the river widened and the banks drifted away into the night the sailors hoisted the sail. At last they had reached the sea—the Wash, which the sailors said was not true sea. Out there beyond the Wash, the German Sea (or North Sea) was true sea. True sea or not, the water grew in power, a sudden wind rocking the boat, spraying the passengers and waking the children. They began to wail, their voices rising shrilly as desperate mothers tried to hush them. Will strained his eyes forward, peering into the night but the sea ahead was disappointingly empty, a frightening black void. ‘Where are they?’ William Brewster hissed anxiously. The question flew round the open boat. Cold dread pulled at his belly as Will, too, searched the sea. He felt sick. The ship was not there. Had the captain dealt treacherously with them, taking their money and not kept his part of the bargain? What would they do now, at sea in an open boat? Panic-stricken rage boiled up from deep inside him. The hired men at the prow of the boat struck a tinder box and lit a small single candle lantern, and when it flickered, held it aloft. Will wanted to cry out in alarm. It made them visible to anyone within a five mile radius, and not just to the ship they hoped would be there. Didn’t they understand the danger? Then, out on the black water, two lights appeared twinkling like stars in the blackness of the night, allowing them to pick out the castellated stern of the waiting ship. Will uttered a little prayer of relief in his heart. A collective sigh seemed to escape the rest, and the mood lightened perceptibly. Looming large out of the night, the ship towered over them as big as a house, and Will’s heart soared. In a few days, just a very few days, they would be in Amsterdam, free.